I've got a Chester Conquest mini mill and I needed to fix a dial gauge to the column. 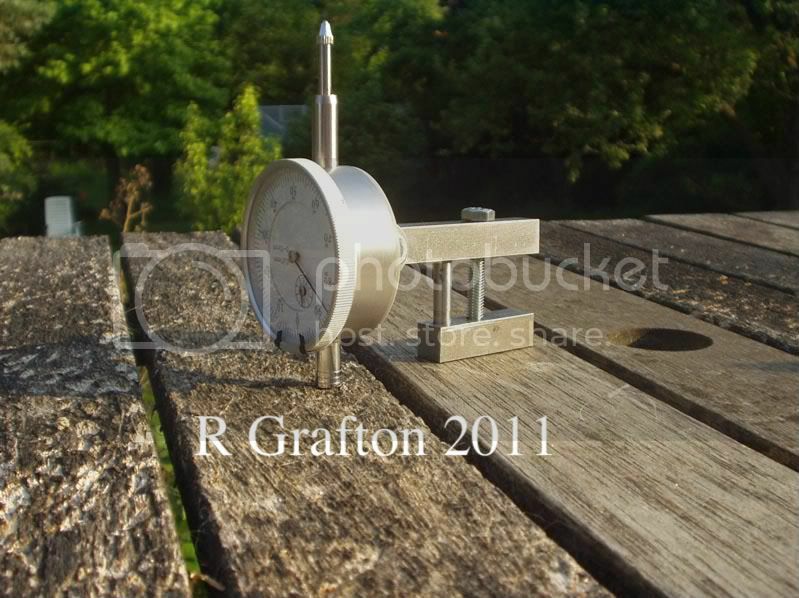 dial gauge mounted on a clamp. and here it's mounted on the height stop. it doesn't show but the plunger contacts the underside of the head. quick, simple and cheap, what more could you want. 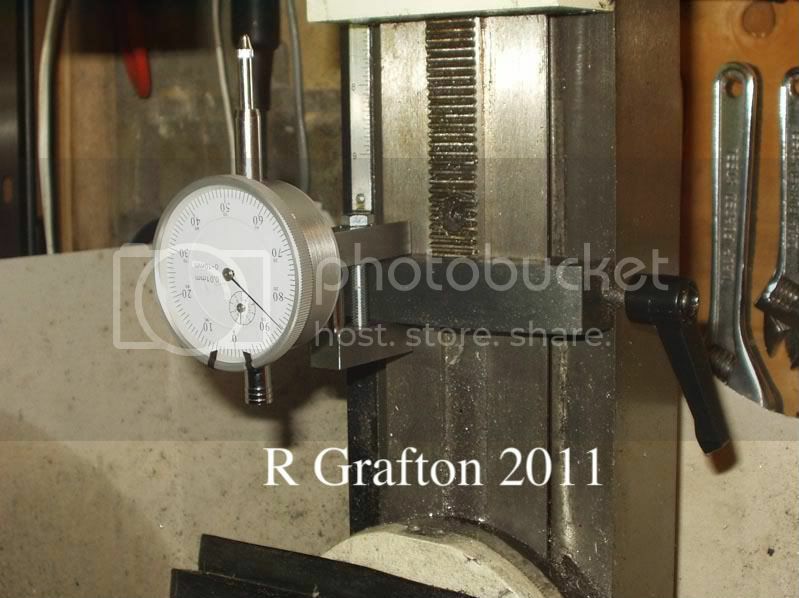 Re: quick & dirty way to fix a dial gauge on a mill. I would offer only one piece of advice. With the DI mounted downside up like that it is easier for swarf, dust, coolant, etc to enter the housing. Point taken. Although it wont be there all the time, it's for a specific job where I need to control the movement to a fine degree. I couldn't see an easy way to fix it to the head, well, I could but then it meant fixing something somewhere else for it to bear on and it all got too complicated after that. I mounted a 2" indicator on my mini-mill, on the side opposite the handles. I then removed the depth stop by gently grinding a small recess in the left side of the column dovetail to allow the stop to tip off sideways. I drilled and tapped the top of the depth stop and attached a short length of bar stock, sticking out to the same side as the DI. That allowed me to leave the DI on the machine all the time. It is a moot point now as I have added DRO's to all 3 axes. Still, the indicator sure worked a treat! I was going to do the same but I couldn't get the damn stop off. I don't fancy grinding lumps off it, its still under warranty. LOL I remember the shiny red paint days. You'll get over that soon enough and start drilling holes and cutting chunks off that get in the way. That's when the real fun begins. I have modded my lathe and mill so much that they are hardly recognizable anymore. Doesn't your stop come off, by backing off the lock handle, and dropping out the wedge? No, the damn thing is 2mm narrower than the column. You can have a lot of fun with welding magnets, and they're cheap.